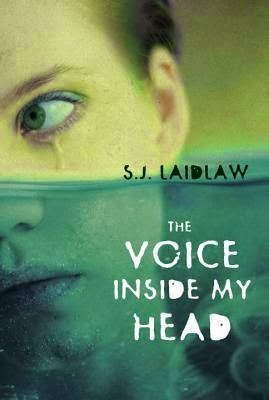 A fast-paced mystery, The Voice inside My Head is expected to be a commercial success and a hit with teens. Seventeen-year-old Luke's older sister, Pat, has always been his moral compass, like a voice inside his head, every time he has a decision to make. So when Pat disappears on a tiny island off the coast of Honduras and the authorities claim she's drowned - despite the fact that they can't produce a body - Luke heads to Honduras to find her because he knows something the authorities don't. From the moment of her disappearance, Pat's voice has become real, guiding him to Utila, where she had accepted a summer internship to study whale sharks. Once there, he meets several characters who describe his sister as a very different girl from the one knows. Does someone have a motive for wanting her dead? Determined to get to the bottom of Pat's disappearance, Luke risks everything, including his own life, to find the answer. I was intrigued by the plot of The Voices Inside My Head for many reasons. First of all, it is a young adult murder mystery, which is a subplot that I haven't explored much of. Also, it takes place on the island of Honduras, and I like reading novels that don't take place in America because it gives a new scenery. Unfortunately, this book fell a little short for me. First of all, I found the protagonist, Luke, annoying. At some points in the novel, he was obsessed with finding his sister and finding out what happened to her on this mysterious island. And then he will do a complete 360 and start obsessing over drugs, alcohol or Reesie. This really got on my nerves because I couldn't see Luke's rational at certain times in the book. All of the other characters fell flat for me. I didn't have one character that I really enjoyed reading about, all of them were just meh for me. I typically can find at least one character that I end up really liking/loving, but not in this novel. All of the main characters were flat and one-dimensional, and all of the relationships were extremely sudden and didn't have a rhyme or reason to them. This made the book unrealistic, in my opinion. You wouldn't just automatically befriend some random drunk on the boat to the island, would you? Also, as much as I found the plot intriguing, it was extremely unrealistic. Honestly, this type of investigation between three teenagers would not occur in real life. Sure, it was fast-paced and enjoyable, but extremely unrealistic. I really enjoyed the setting of this novel. I had the opportunity to go to Honduras on my first cruise that I went on a few years back, but unfortunately it was raining so hard that I couldn't go and explore. Like I mentioned before, not very many novels take place outside the United States so it was refreshing to read a novel that was set on a Caribbean island (especially since the area is one of my favourites). Overall, this book was enjoyable but nothing that I will remember for the rest of my life. It wouldn't be a book that would automatically come to mind when recommending books to people. It was just... meh. That's the best way to explain how I felt about this novel. Thoughts/Notes: Bout of Books was a success! My goal for the week was to finish 5 books and I ended up finishing 5 books, and I surpassed that by 2 books! I also achieved my goal of 2,000 pages with some to spare. 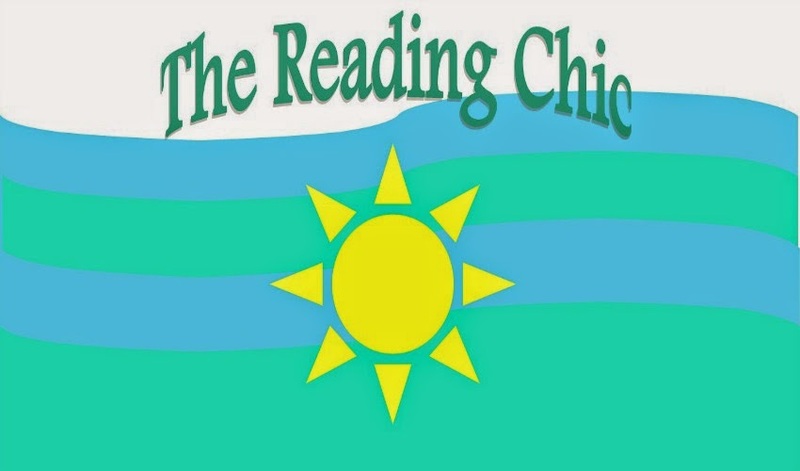 I was able to eliminate a lot of books off my TBR pile this week and will be continuing doing that in this upcoming week because I am participating in another read-a-thon! How was your reading week? Did you hit your goals? Tell me all about it! Thoughts/Notes: I hit my goal of reading 5 books this week! I am extremely proud of myself, because this is a lot better than I did at the YearAThon last week. I decided to put these two updates together because I missed yesterday's. I though I had read a lot more pages than I actually did, but I'm still proud of myself because I managed to finish a book and hit one of my goals. The next goal that I am hoping to hit is the 2.000 page goal, which I am well on my way to achieving. Bout of Books 10.0 DAY 2 UPDATE + Books I'm Looking Forward To! Thoughts/Notes: Today wasn't nearly as good as yesterday, but I did get a lot done! I finished my fourth book, SEVER by Lauren DeStefano, which means that I am only one book away from my 5 book goal. This means I may be upping that goal, but I'm not sure if I am going to be doing that yet. I will see when/if I hit the 5 book goal, because I'm still not sure what school is going to be like this week. At this rate, I honestly don't think that my goal is unrealistic! Books I'm Looking Forward To! Today's challenge is to list some titles that I am looking forward to reading! For this, I decided to make a list of books that are high on priority to buy right now. These are the titles that I am most likely to put into my Amazon cart next! I have also linked the Goodreads page in case you would like to check these books out. Did you do a Bout of Books update post? Leave it below! Bout of Books 10.0 DAY 1 Update + Challenge! Thoughts/Notes: Awesome start so far if I do say so myself! Since I didn't set myself a TBR, it is hard to tell the amount of progress I have made but with my goal of reading 5 books this week... I think I'm doing pretty good! Only two more to go and since the YearAThon was a total bust I'm really hoping that this one will end up being a whole lot better! I'm proud that I went strong the first day because I'm not 100% sure if the rest of the week is going to be looking too good reading wise. This challenge is recommending similar books/authors to people! I decided I would give it a shot, but I'm not sure if I am going to be doing the rest of the week's challenges! This recommendation works anyway! If you like Jenny Han, try Sarah Dessen! They both write summery contemporaries and have similar writing styles. The Hunger Games by Suzanne Collins/ Wither by Divergent by Veronica Roth Lauren DeStefano All three of these novels are dystopian, and I feel like if you like one, you'll like the other! So that was me taking a shot at if you like x, try y! If you did this post, please leave it in the comments! I would love to see your recommendations. 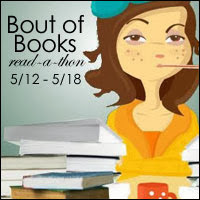 I'M PARTICIPATING IN BOUT OF BOOKS 10.0! I know, I'm crazy, right? I have a massive TBR and really need to work through it, so I decided to particpate! I have no idea how much reading I will actually get done, but hey, it's worth a shot right? My day 1 wrap-up will be up in a few minutes, so watch out for that! I'm going to say this now. I am having a difficult time reviewing this book, for the sole reason that the contents of it hit a soft spot in my heart. 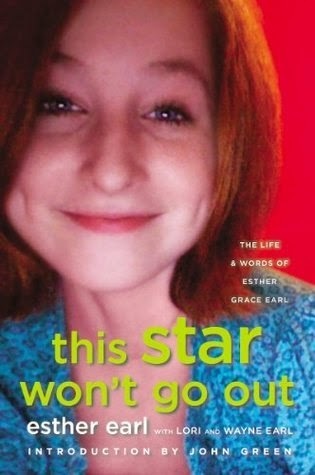 I am a huge fan of John Green, and it was him who introduced me to Esther Earl. I didn't know Esther while she was alive, although I wish I did. I will never have the opportunity to know who Esther was during her short life here on Earth, but I can celebrate that life just like many other Nerdfighters and John Green fans already do. For those of you who are wondering who Esther Earl is, she was an active member of Nerdfightaria and was a huge fan of John Green. Have you wondered who the mysterious Esther was who The Fault in Our Stars is dedicated to? You've found her. John Green wrote the introduction to this book, and Esther's parents, Lori and Wayne Earl, wrote little snippets throughout the novel and at the end, but this is Esther's book. Esther was an aspiring author but unfortunately, cancer won before she had the chance. And although Esther will never get to experience becoming a published author, she is now. I can not describe the feelings I have when I think about this. Because of Esther's parents and John Green, they have made Esther's dreams possible when she couldn't. This book had me crying from the first page. John Green opened up the book and I don't think anybody could have done justice to Esther's beautiful life like he did. Like I said, before I even flipped the first page I was bawling. You could tell that John really admired Esther and an incredible amount of emotion was seeping through his words. I also found myself sobbing during Wayne's parts specifically. Esther and Wayne really did have a special bond and you could feel this father's love for his passed child. Although I never met Esther Earl, or knew of her while she was fighting her battle, she is no doubt one of the most beautiful souls I have ever been aware of. I hope that this review did this novel justice, because that is my worst fear. Despite being so emotionally attached to Esther (even previous to reading this book), I really did enjoy it for it's beauty and not just because of Esther.